NARI members from NARI Metro DC, Greater Baltimore Area NARI, NARI Mid-Maryland and NARI of Central Virginia were part of NARI’s inaugural Capitol Hill event. NARI members from NARI Metro DC, Greater Baltimore Area NARI, NARI Mid-Maryland and NARI of Central Virginia made visits to several congressional offices last week, as a trial run to a broader lobbying day for NARI. 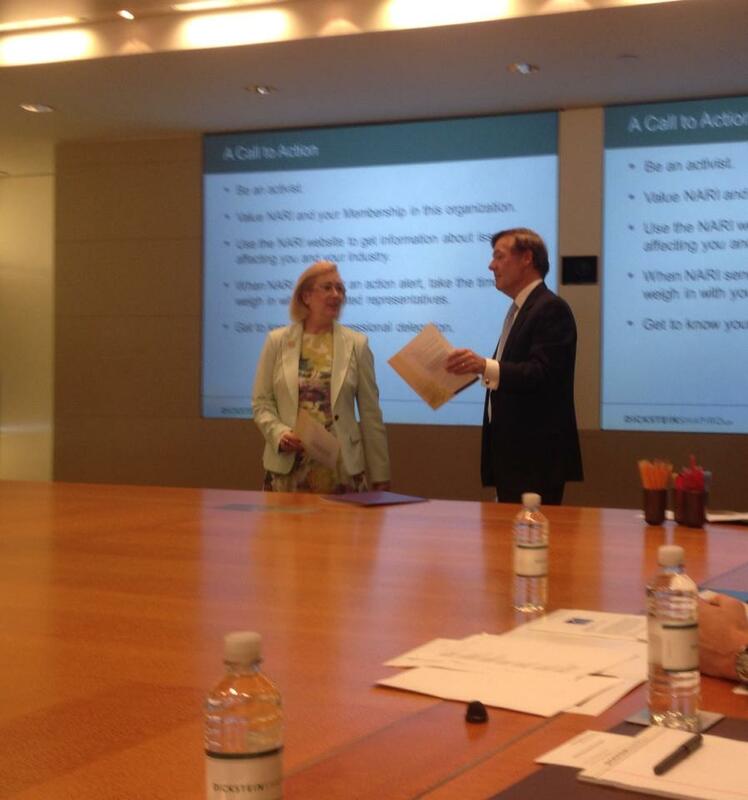 NARI’s lobbyists prep the group for its visits on the Hill. “We were briefed by our lobbyist, Randi Fredholm Hutchinson, on how lobbying serves as an effective means to connect with our representative’s offices and allows the voice of the people to be heard,” says Mason Hearn, from NARI of Central Virginia. “We also spent time going over ‘etiquette’ and building expectations regarding how we would likely be received and what to expect. Sen. Tim Hutchinson was also in attendance and gave us a first-hand view from the member (as-in, member of Congress) side.” In addition, former Sen. Albert Wynn joined them on some of the meetings. Randi Hutchinson and Sen. Tim Hutchinson are NARI lobbyists from Dickstein Shapiro. 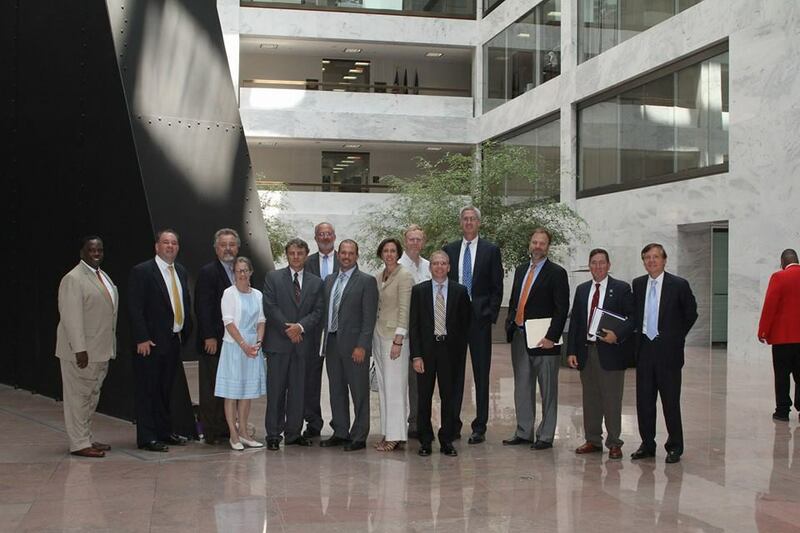 After lunch, the group met with four senators and four representatives: Rep. Chris Van Hollen (D-MD), Sen. Mark Warner (D-VA), Sen. Tim Kaine (D-VA), Sen Barbara Mikulski (D-MD), Sen. Ben Cardin (D-MD), Rep. Gerry Connolly (D-VA), Rep. Eleanor Holmes Norton (D-DC) and Rep. Frank Wolf (R-VA). 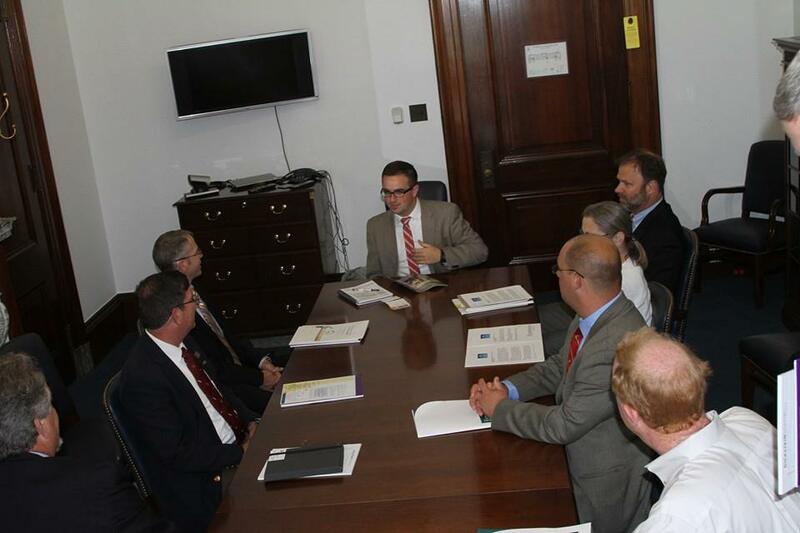 NARI members met with eight congressional staffs to discuss several of NARI’s federal advocacy priorities. Hearn participated in the event because he wanted a better understanding of the policy-making process at the federal level. Sixteen NARI members and one chapter executive participated in this Capitol Hill drive-in, including Jane Neboshynsky, from Greater Baltimore NARI. “I believe that as members of NARI, we owe it to the industry to bring our knowledge to various governmental agencies that regulate our activities,” she said. “When NARI proposed a drive-in to help inform and educate members of Congress through their staff, I was eager to join the group. It was an adventure that I hope many NARI members will have the opportunity to participate in. One of the things that Hearn found interesting, though not surprising, was the reception to the various issues, depending on the office’s political party, as well as whether that office was the Republican-majority House or Democrat-controlled Senate. Position papers and fact sheets about the various issues of concern were left with each congressional office. NARI members will follow-up by writing letters to the staffers within a week. David Merrick, MCR, UDCP, Merrick Design and Build Inc.
Cynthia McClure, MCR, GCP, Grossmueller’s Design Consultants Inc.
Peter Pagenstecher, CR, Pagenstecher Group Inc.
Gregory Smith, CKBR, Greg Smith Company Inc.
Kyle Martin, CR, B.K. Martin Construction Inc.
Steve Klitsch, Creative Concepts Remodeling Inc.
To see more images, visit NARI’s Facebook page (photos courtesy of Mason Hearn, Kyle Martin, CR, Taylor Moore and Christopher Dietz, UDCP).